The following are trademarks and services marks owned by Religious Technology Center, Los Angeles, California, USA. 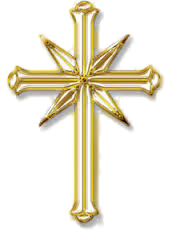 These marks are licensed for use by the Church of Scientology International and its affiliated organizations and have been registered in many countries of the world. DIANETICS, FLAG, FREEDOM, GOLDEN ERA PRODUCTIONS, HUBBARD, L. RON HUBBARD, L. RONALD HUBBARD, L. RON HUBBARD signature, LIFE IMPROVEMENT, LRH, OT, PURIFICATION, PURIFICATION RUNDOWN, SAINT HILL, SCIENTOLOGY, the SCIENTOLOGY NETWORK logo, THE BRIDGE, DIANETICS symbol, OT symbol, RON signature, SCIENTOLOGY cross (pointed), SCIENTOLOGY cross (rounded), SCIENTOLOGY symbol, VOLUNTEER MINISTER symbol. SCIENTOLOGIST is a collective membership mark designating members of the affiliated churches and missions of Scientology. The Lead the Way to a Drug-Free USA and Drug-Free Marshals logo are trademarks owned by the Church of Scientology International APPLIED SCHOLASTICS, NARCONON, ABLE, APPLIED SCHOLASTICS logo, CRIMINON, NARCONON logo and ABLE ASSOCIATION logo are trademarks and service marks owned by the Association for Better Living and Education, Los Angeles, California, USA. THE WAY TO HAPPINESS and the “ROAD & SUN” Design are trademarks owned by L. Ron Hubbard Library in the USA and in other countries. WISE, WISE logo and the LION and CUBS symbol are trademarks and service marks owned by World Institute of Scientology Enterprises International, Los Angeles, California, USA. CCHR, CITIZENS COMMISSION ON HUMAN RIGHTS and the CCHR logo are trademarks and service marks owned by Citizens Commission on Human Rights, Los Angeles, California, USA. Grateful acknowledgement is made to L. Ron Hubbard Library for permission to reproduce selections from the copyrighted works of L. Ron Hubbard. © 1996-2018 Church of Scientology Mission of Wichita. All Rights Reserved. Apple, the Apple logo and Apple TV are trademarks of Apple Inc., registered in the U.S. and other countries. Android is a trademark of Google, LLC. The Android robot is reproduced or modified from work created and shared by Google and used according to the terms described in the Creative Commons (https://creativecommons.org/licenses/by/3.0/)3.0 Attribution License. Amazon, Fire and all related logos are trademarks of Amazon.com, Inc or its affiliates. ROKU is a trademark and/or registered trademark of Roku, Inc. in the United States and other countries.